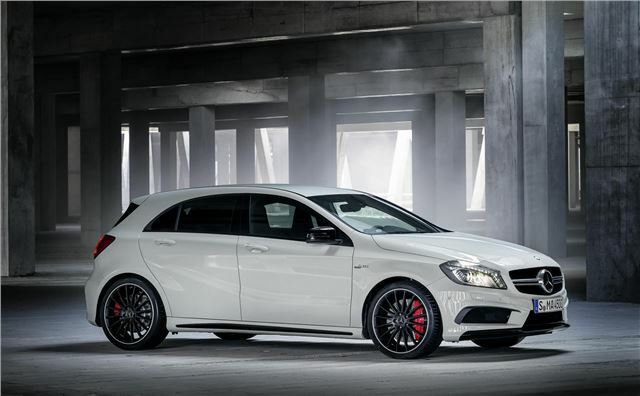 Mercedes-Benz has announced details of its new A45 AMG model, which will make its debut at the 2013 Geneva Motor Show next month. The performance version of the new A-Class features a 360PS four cylinder turbocharged engine – the most powerful production four-cylinder in the world. 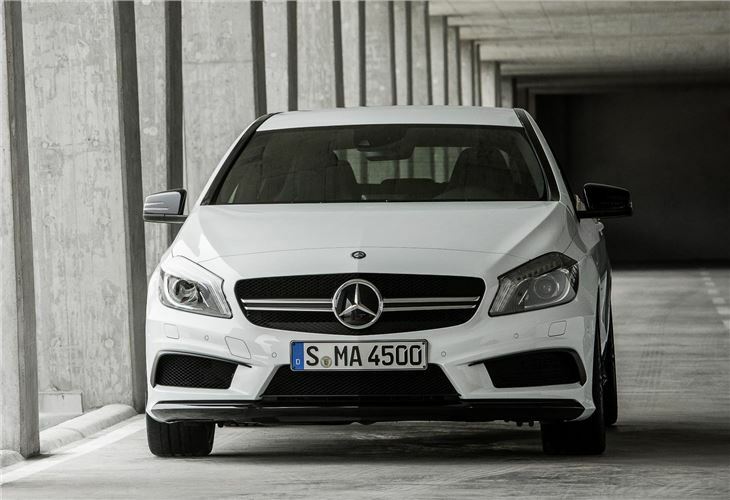 With a high power output and 450Nm of torque to keep in check, the front-wheel drive A-Class chassis would struggle, so the A45 AMG features an all-wheel drive 4Matic layout. Top speed is limited to 155mph and 0-62mph takes just 4.6 seconds. Despite that, Mercedes-Benz says the official combined cycle economy figure is 40.9mpg. The hand-built engine is linked to a DCT-7 dual-clutch transmission, which works like an automatic most of the time but can be overridden with steering wheel mounted paddles. It simulates ‘double declutching’ on downshifts and has three different driving modes. 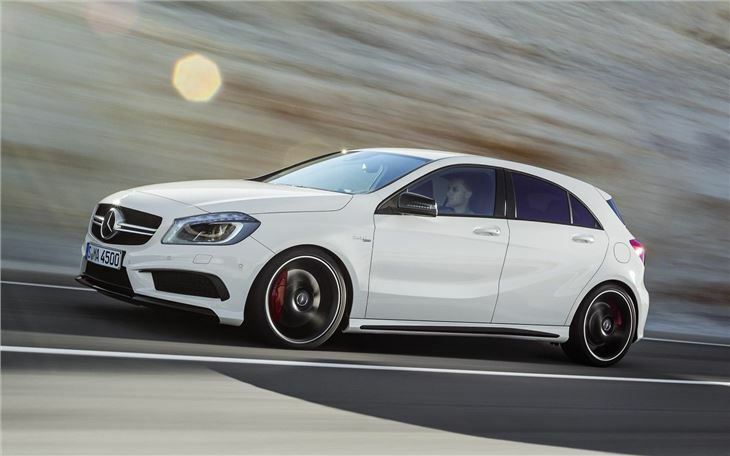 AMG cars are renowned for their distinctive exhaust notes and the A45 AMG has been kitted out with an exhaust flap designed to provide an entertaining sound when driven hard and a quieter, more refined drive the rest of the time. As an option buyers can choose an even more purposeful sports exhaust system. Externally the A45 AMG looks rather a lot like a normal A-Class in Sport trim. It features matt grey and black details, but they’re more subtle than you’d typically expect from an AMG model, which might leave buyers wanting a little more to differentiate their car from standard A-Class models. Luckily there are plenty of extras to satisfy them, including an aerodynamics pack, carbon-fibre details and a ‘night pack’ of privacy glass and extra black trim details. 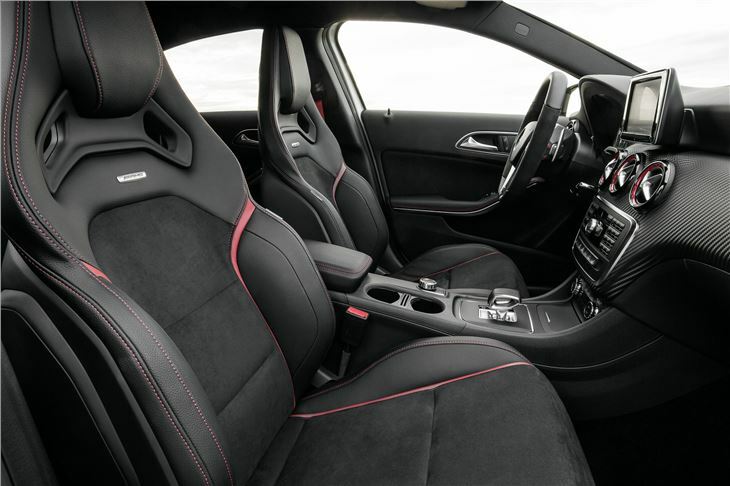 There are also performance extras, including a sports suspension system, an AMG steering wheel and different seats. 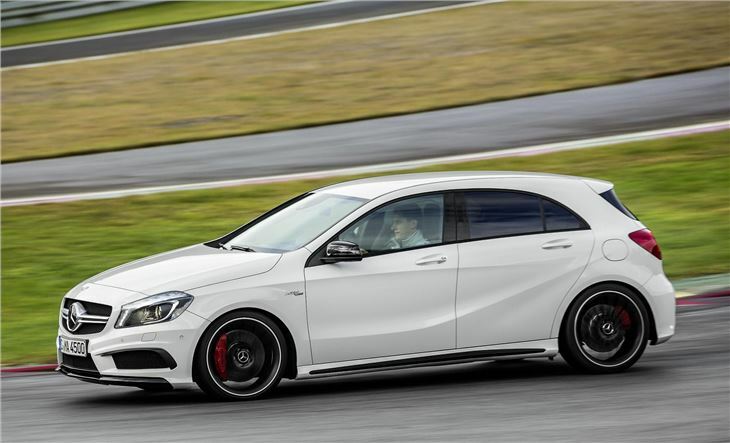 The A45 AMG is set to arrive in the UK in July 2013, and while prices are yet to be announced, expect them to be fairly steep. If rivals like the Audi RS3 are anything to go by, it will cost from around £35,000.